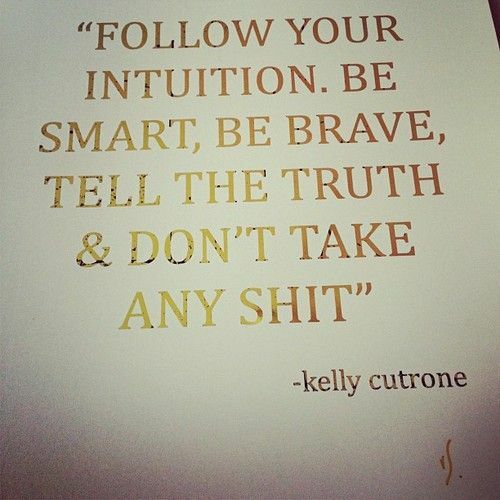 Have I mentioned how much I adore Kelly Cutrone? Go read her books and be inspired, she is one tough mama with compassion! <3 And I'm realizing that the only way to live a great life is to really follow that little voice within your heart, because thats the hardest thing to do, to get quiet enough to hear that little voice. That's really the only way to know what you need to do. 24 awesome packing tips from the Fathom team. Packing is one of my least favorite things to do before travelling.. this just made things wayy easier! Robin Sharma has been one of my inspiration when I randomly found his book while interning in Taiwan... his 10 favorite quotes really resonate with me! How are you acknowledging those around you?.. Get to know someone, and tell them how awesome they are! 3 questions to ask yourself, are you livin' the best life ever? Attract more reliable people into your life, it might not be what ya think! Apparently these are the types of people you shouldn't be dating, lol, but I also think there people you shouldn't hang out with too! Overcoming perfectionism.. is defffintely something i need to do.. so this article is amaze. Believing in yo' self is essential to the game of life! Love Ramit, and his real talkness. Major throwback!!! What your fav disney channel movie says about you? Totally made me giggle. Travelling is pretttyy awesomee.. I mean its the most fun thing ever plus more. I am absolutely obsesseddd with this songg! The bollywood blend just makes me want to dance. Perhaps changing up your diet, may protect you from depression or the likelihood of developing the blues. "Happiness isn't being cheerful all the time," John Sharp, psychiatrist at Harvard Medical School says. "It's being interested in things -- finding out more about something, learning how to appreciate something better, incorporating something new that fits in with what you already have." On my search for happiness, I've come to realize its more of a need for contentment versus happiness, and this guide sums that up wonderfully! Did I mention how much I admire Robin Sharma? His lists seriousllly inspire me to lead without a title: 51 ways ordinary people can get to world class, 60 tips for a stunning life, and 73 of his best business & success lessons. I'm always trying to find ways to overcome shyness.. its definitely been something I'm working on, and is a challenge for me somedays. Renaming your shyness could be key! Whole foods is taking a stand for GMO-labeling on foods! This could be the big step the food industry needed to improve the quality of foods that we are able to eat. Ladies, and gentleman, listen up, there are times and moment when you're too nice at work. Yup, I said it! A facebook detox sounds soo good right now, but I'm thinking the occasional weekend digital sabbatical is also a fantastic idea. I'm definitely learning a lot about respecting my time and especially others. Here are some ways to not steal time from others! Whether or not you want to be an entrepreneur, the not knowing part of business and life can kinda just get to you sometimes. To live an amazing life and get the best of what life has to offer, be willing to look stupid. Lastly, I want to take the time out to reflect on the tragedy that occurred in Boston. I pray that all those affected in this situation may find healing, peace and love. I also want to send my love out to those affected by the earthquake in China. April has really been filled with a lot of heartache, and it really shakes me up, but in times of tragedy, I hope that we can only come together and send positive love and energies to them. Taiwan! I can't wait to see your posts ;) I love the link for attracting more reliable people- thanks for sharing!